Saturday Night Live’s topicality is in question, among other things, after the long-running sketch show appeared to sidestep a New York Times investigation into decades of sexual harassment allegations against TV and movie mogul Harvey Weinstein. 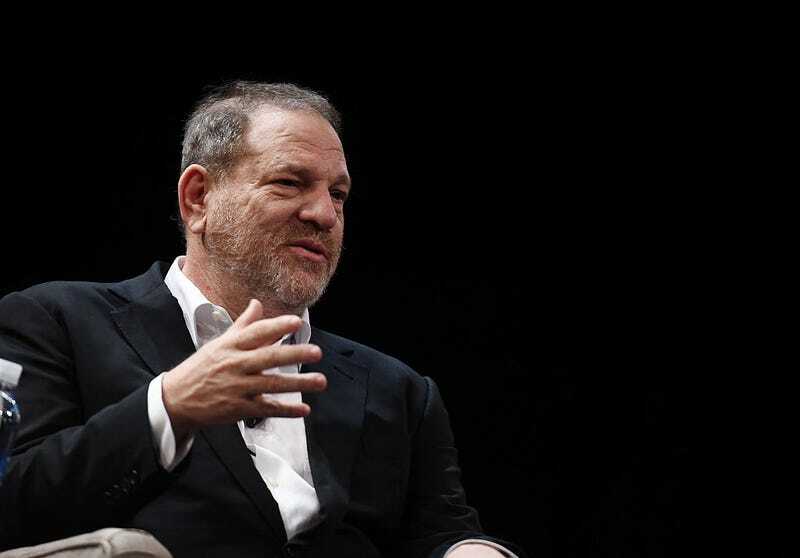 It was the kind of thing that was hard for anyone to ignore, including Weinstein’s fellow directors at the Weinstein Company, who pushed him out of the production company he co-founded in the wake of allegations that he regularly invited women in the industry—actresses, assistants, prospective hires, etc.—to business meetings where he then propositioned them. As recently as Friday, a news anchor went on the record with claims that Weinstein had masturbated in front of her. But the October 7 installment of SNL didn’t touch on any of these allegations, or even reports that Democrats began donating contributions they’d received from Weinstein after learning of the accusations. As The New York Times reports, the omission was intentional—an anonymous source at SNL who was “familiar with the preparations for this weekend’s episode” says jokes were written about the Weinstein allegations, which include claims that he’d asked women to watch him shower and/or give him massages while he was naked. But they were part of a sketch that “was dropped before airtime.” Additionally, Weinstein-inspired jokes were cut from the Weekend Update segment because “the material seemed to fall flat with the show’s studio audience,” according to the Times’ source. Given that SNL went in on or at least referenced the Roger Ailes, Bill O’Reilly, and of course, Donald Trump sexual harassment scandals, it’s a glaring oversight. But the source close to the episode tells the Times that the show’s tone was greatly affected by the Las Vegas shooting, which presumably means that in going for something more somber, SNL left out the Weinstein stuff while facetiously depicting a Safelite tech as a creep. The new piece also clarifies Lorne Michaels’ remarks about Weinstein that had Donald Trump Jr. following his father’s example and whining about fairness. Apparently, Michaels was quoted as saying “It’s a New York thing” when asked why Weinstein had escaped the show’s pointed comedy. According to the Times’ source, what the showrunner meant was that at the time, it seemed like a story relegated to New York City. But since this thing isn’t going away any time soon, SNL reserves the right to maybe cover it, which should make Junior happy.